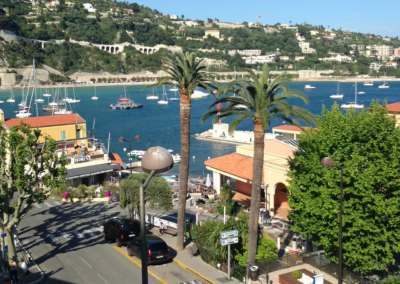 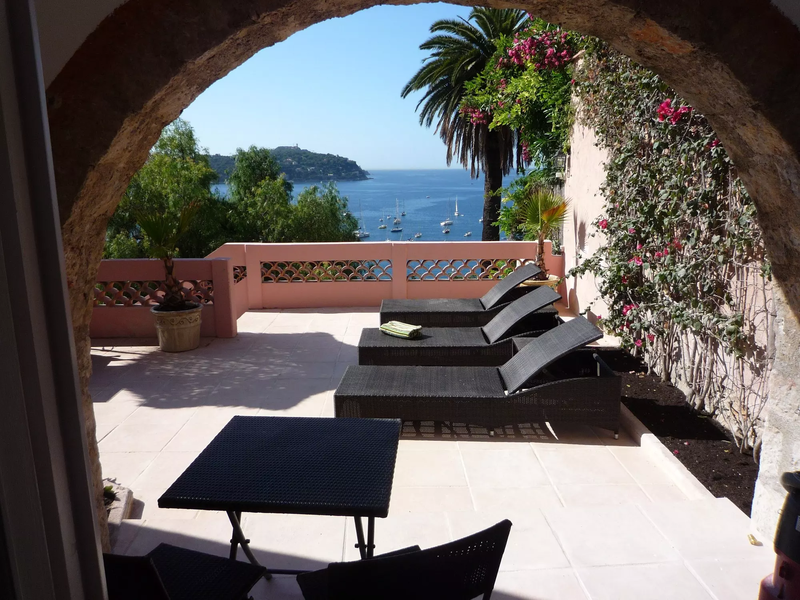 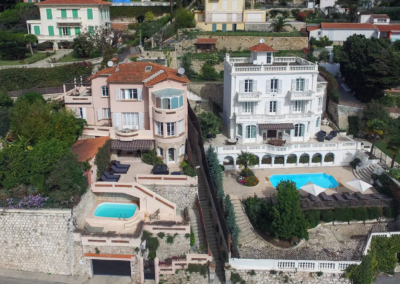 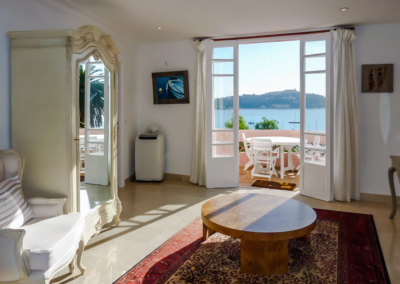 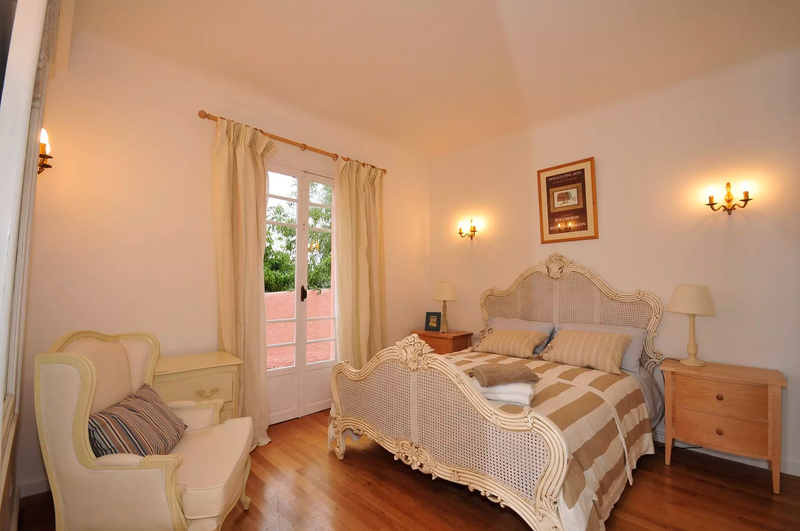 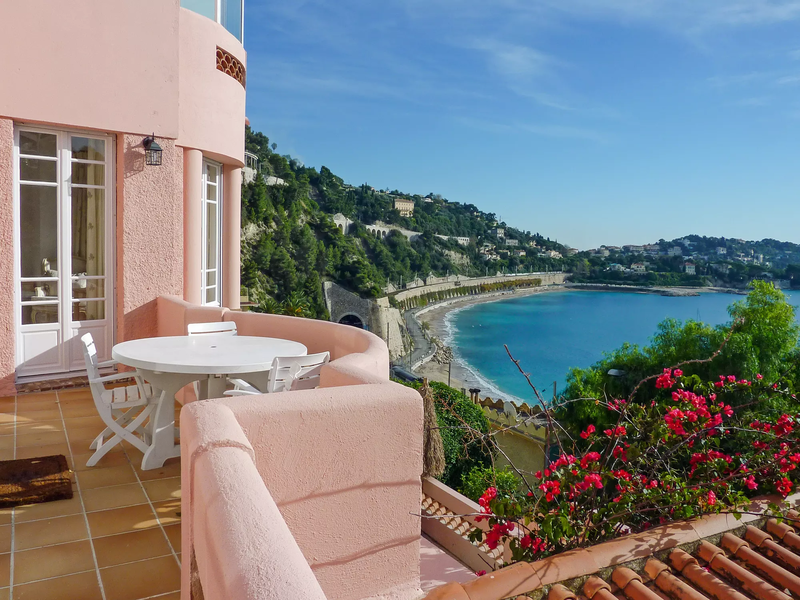 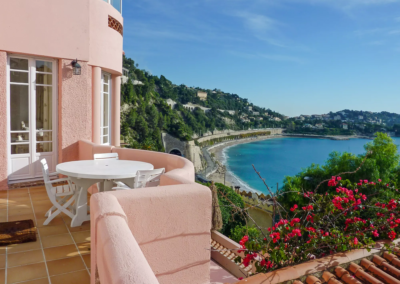 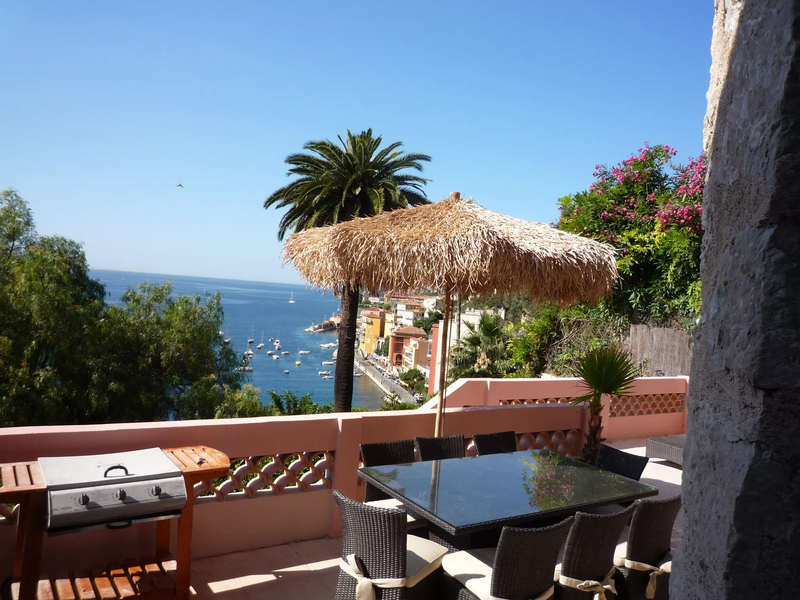 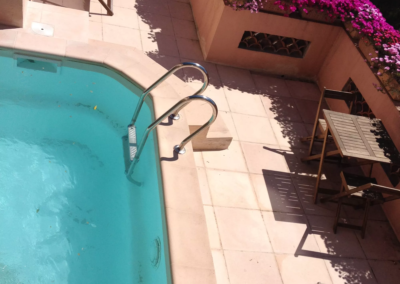 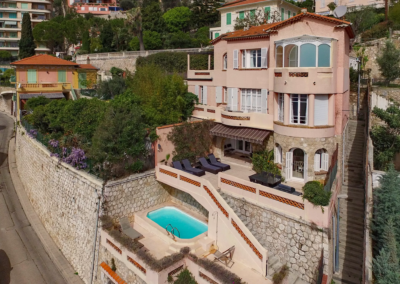 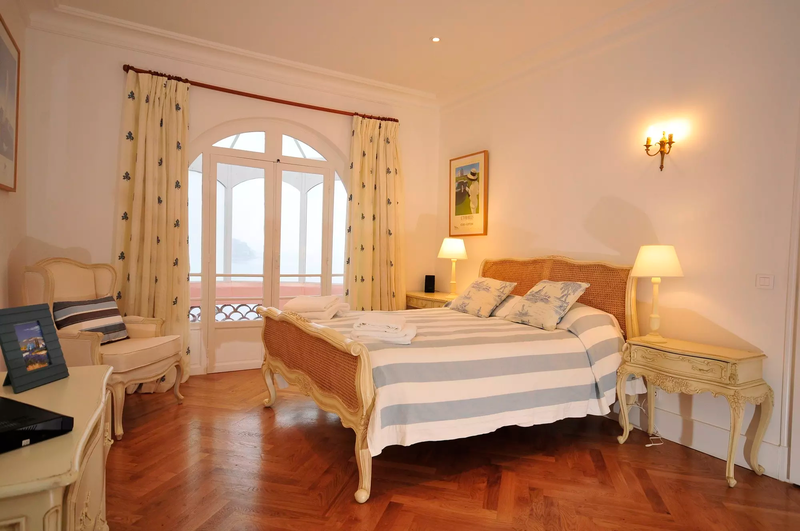 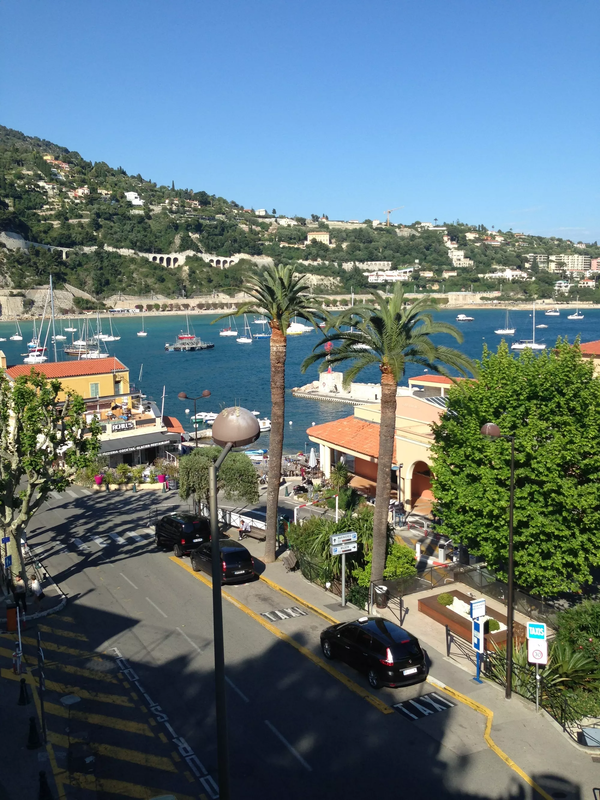 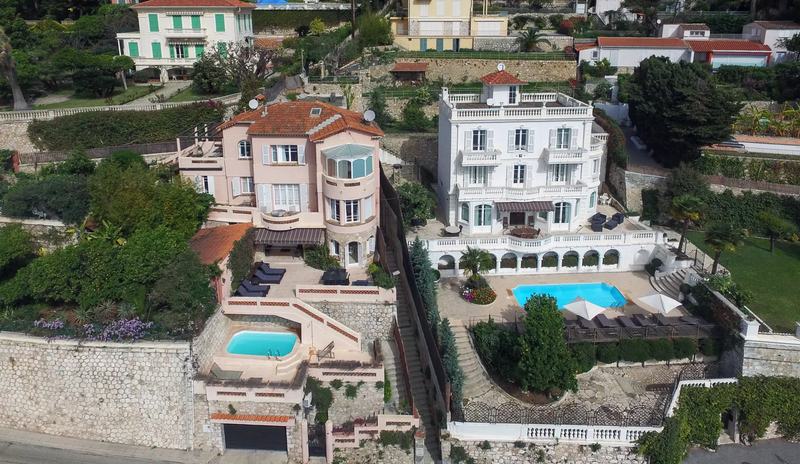 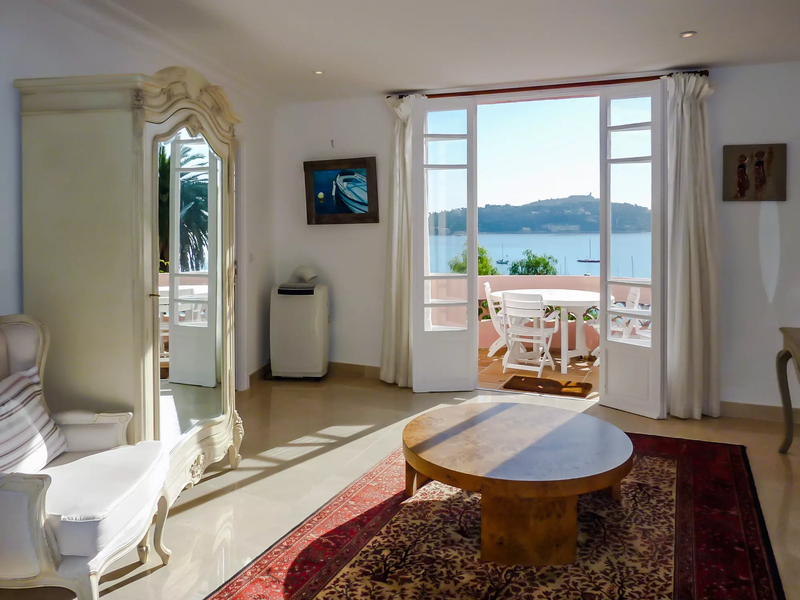 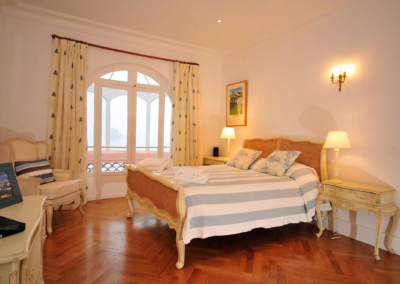 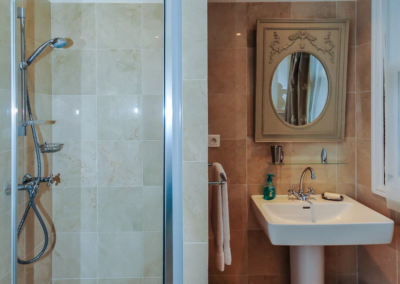 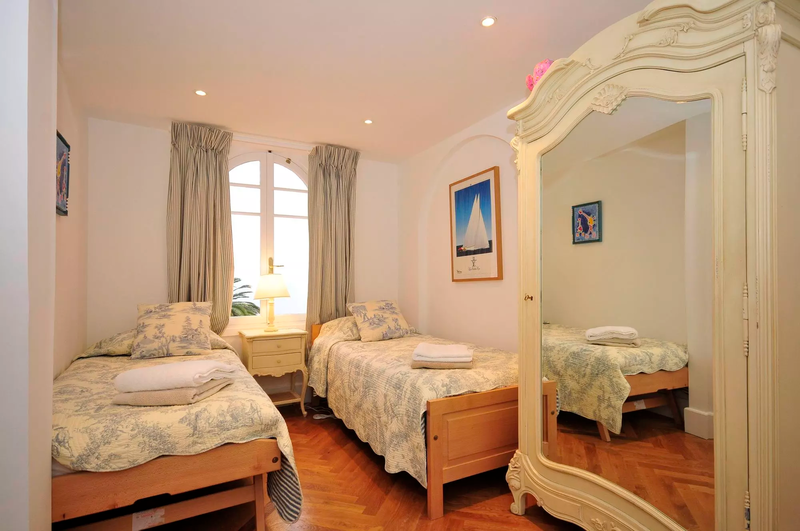 A four-minute walk from this Villefranche villa brings you to the small port of Villefranche-sur-Mer, which has good restaurants, shops and an antiques market each Sunday. 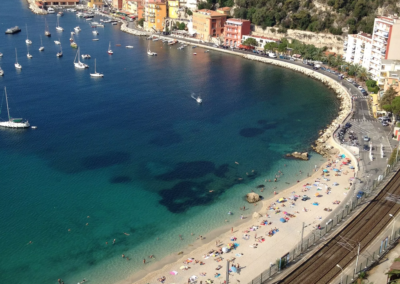 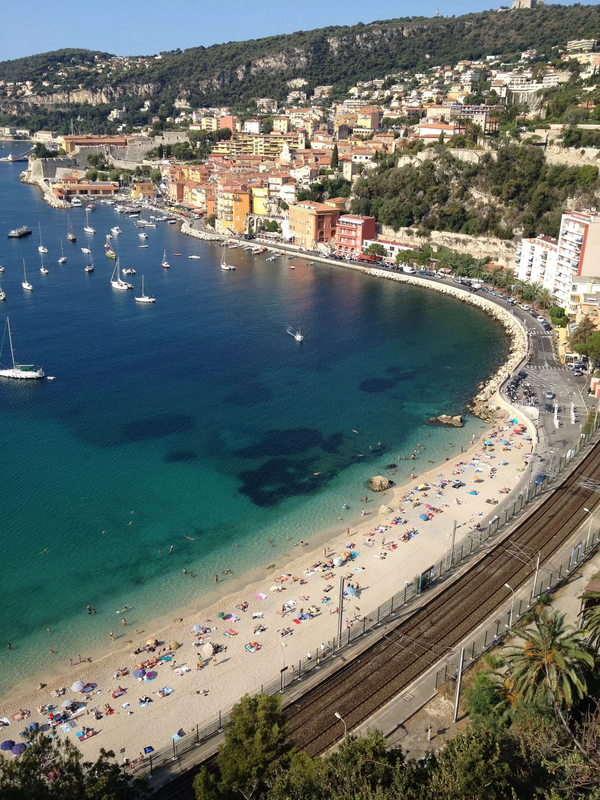 The local train station connects you to the entire coastline from Marseille to Monaco – and you can always go a little further along the line and enjoy a taste of Italy too! 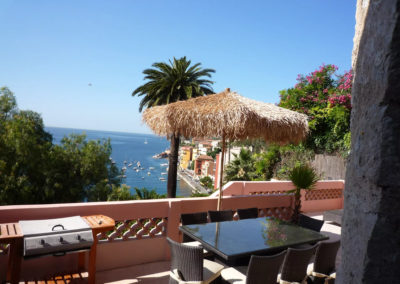 The beach is a very short stroll from the villa too, so you have the best of all worlds here. 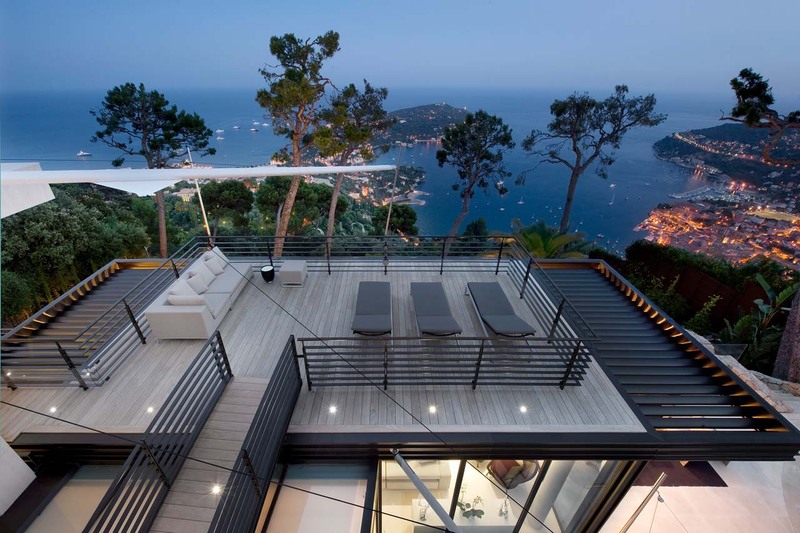 One of the many attractions of this Villefranche villa is its proximity to the centre of Villefranche, the coastal train and dramatic coastal road, so although set in a quiet residential area, it is not the place to escape to if you need a peaceful countryside setting, but rather the place to embrace vibrant Riviera living -‘ joie de vivre’ as the locals say! 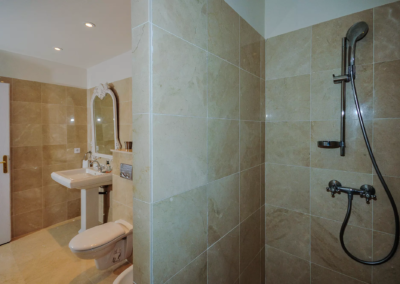 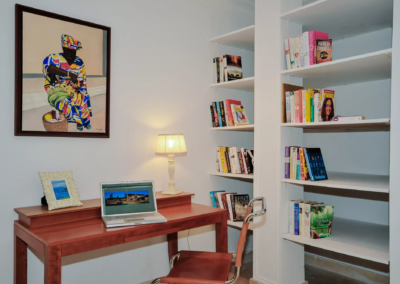 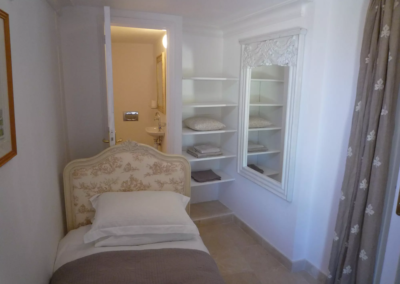 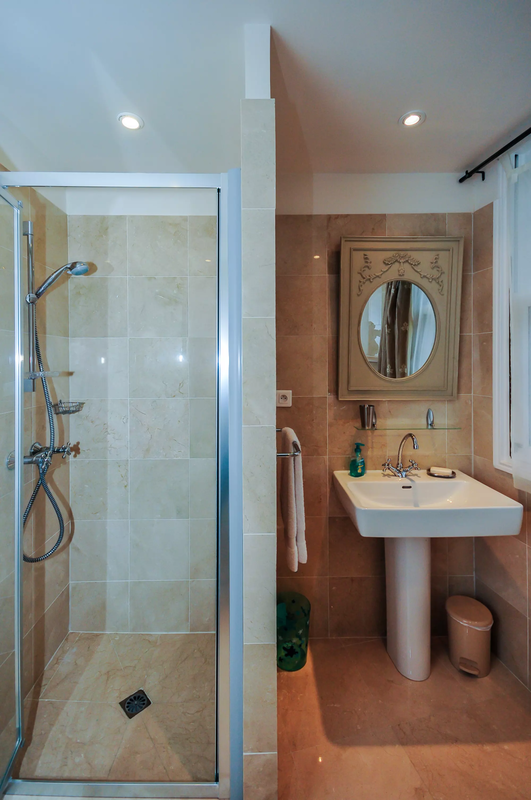 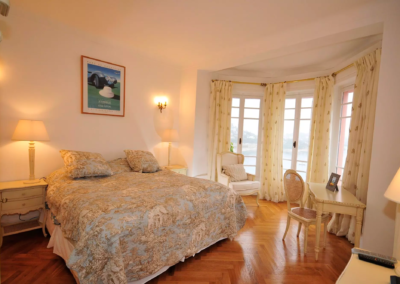 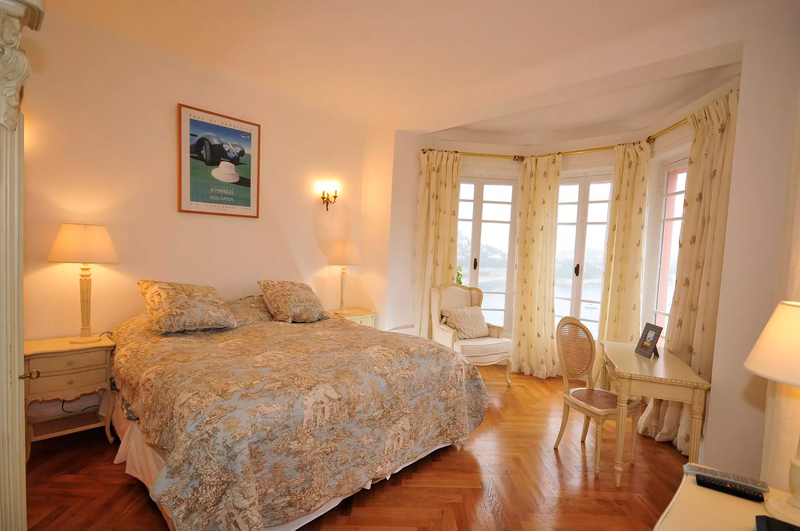 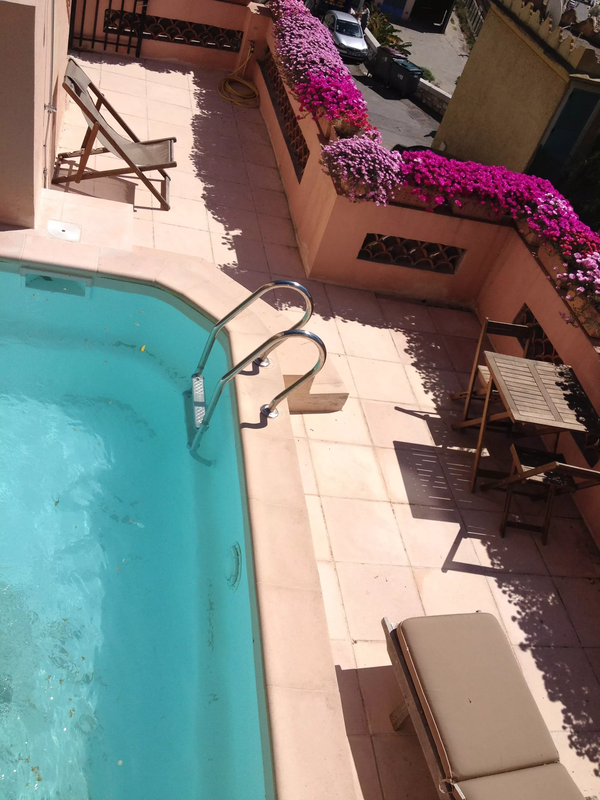 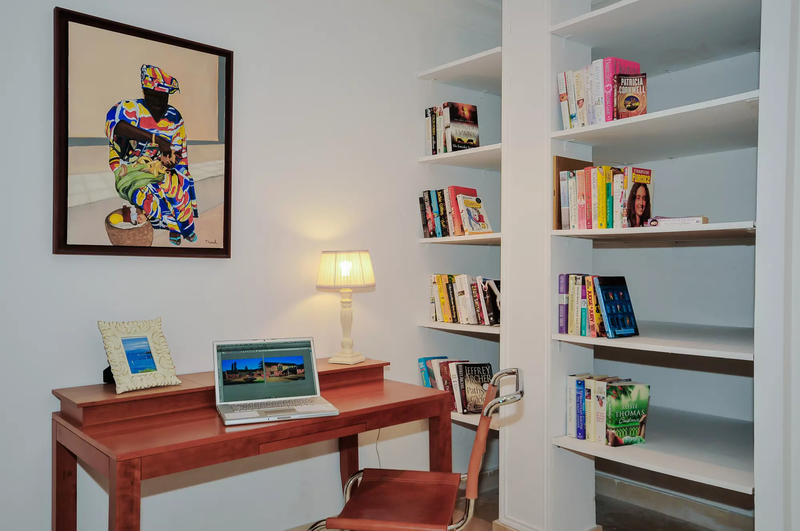 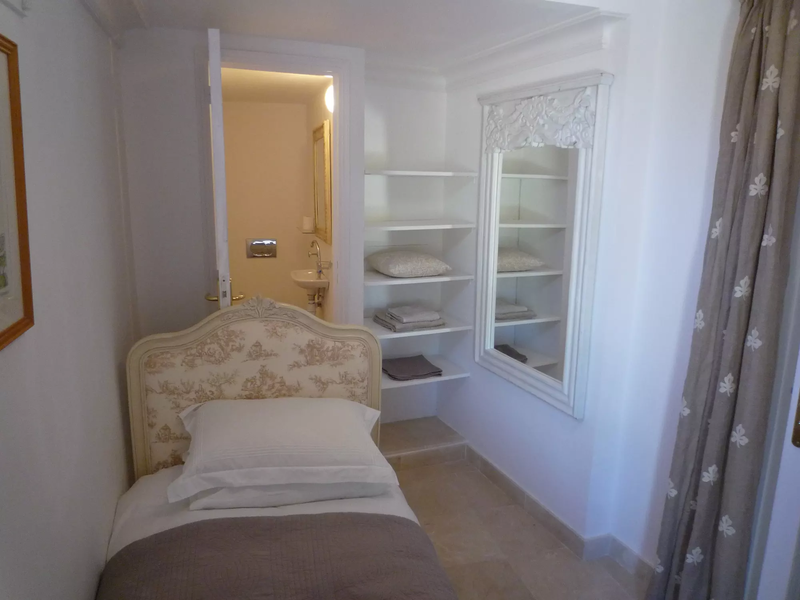 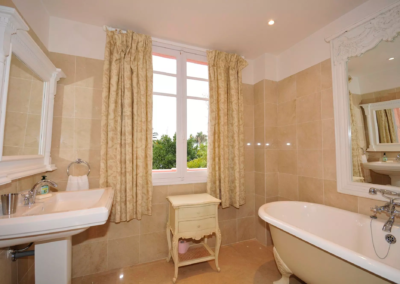 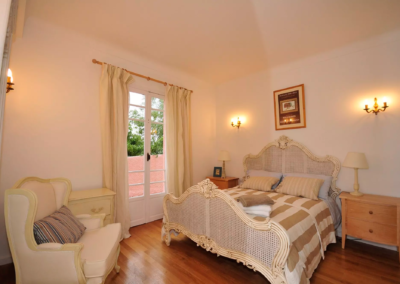 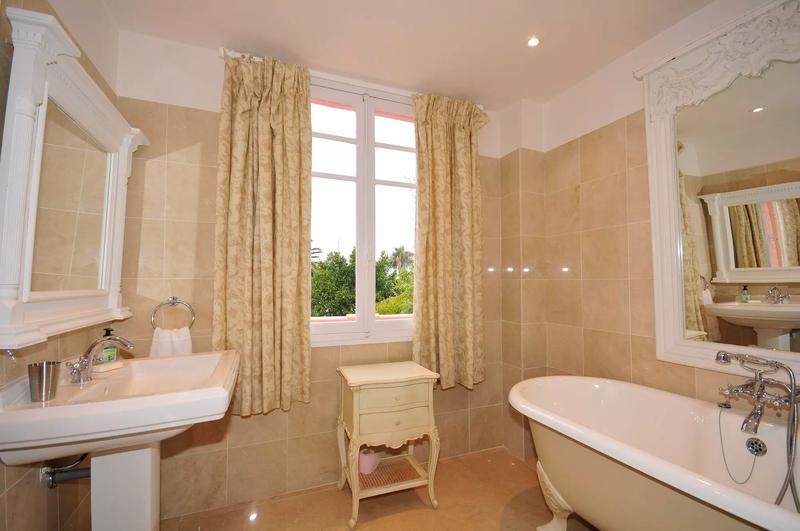 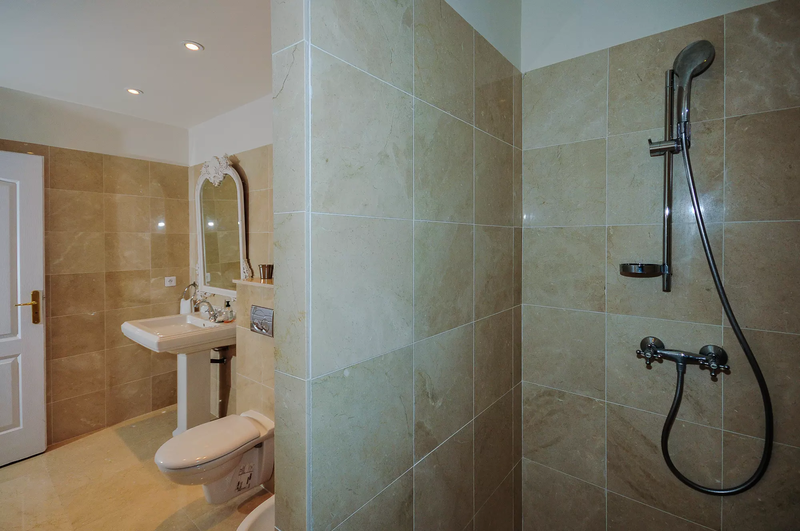 Small single bedroom (0.90m), (TV), French door to terrace, sink & WC – ideal Nanny’ s room. 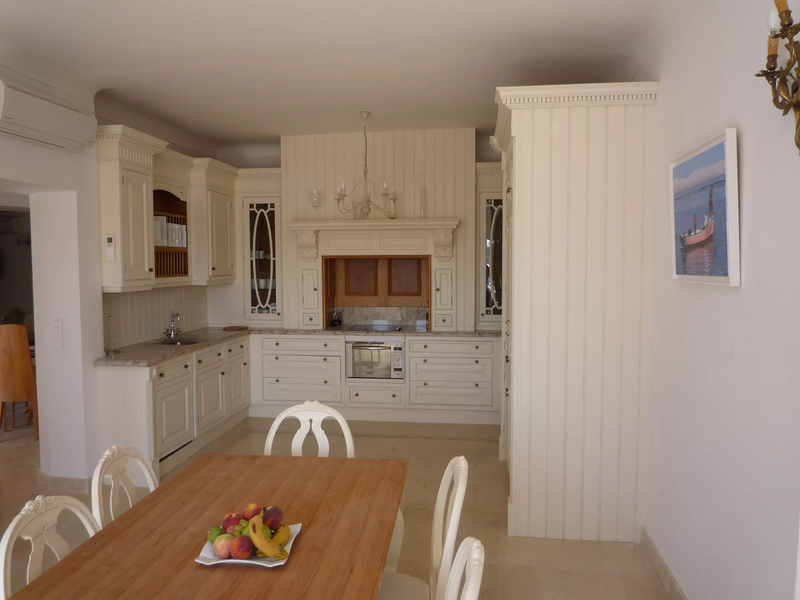 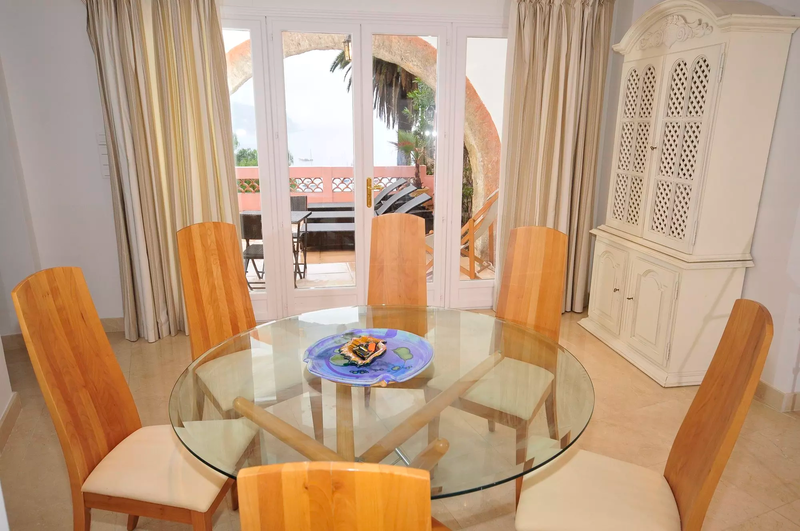 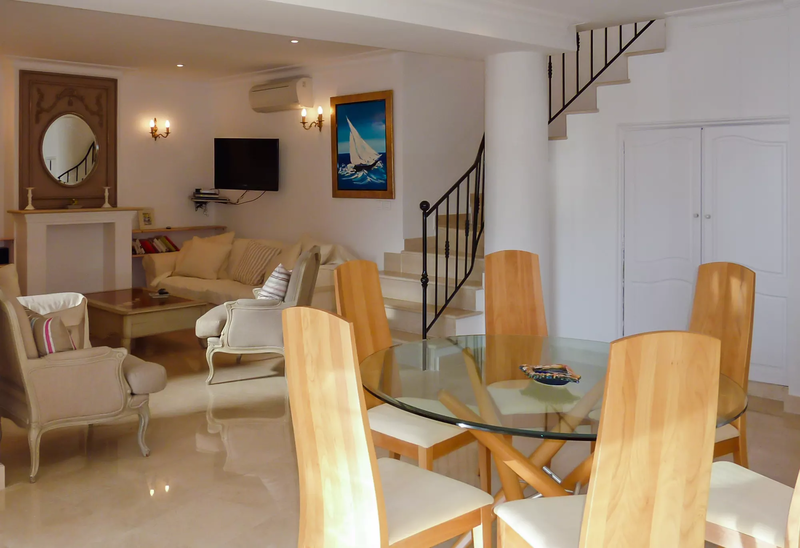 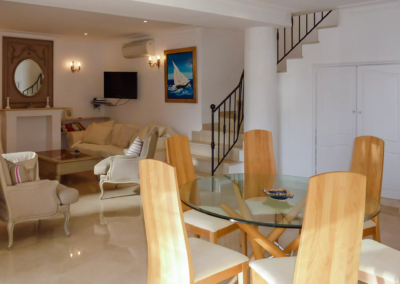 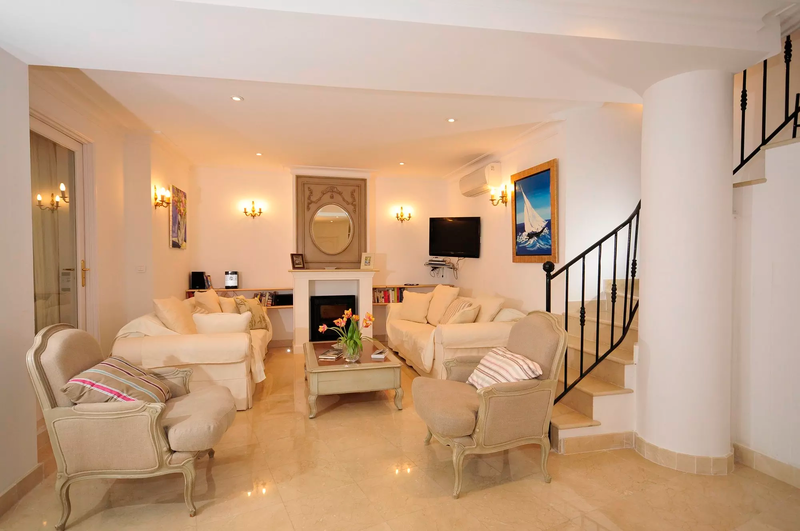 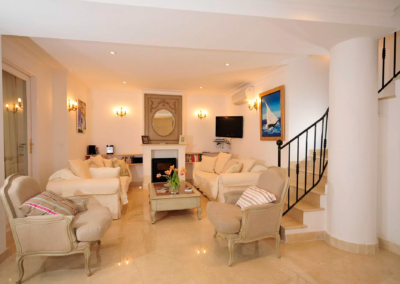 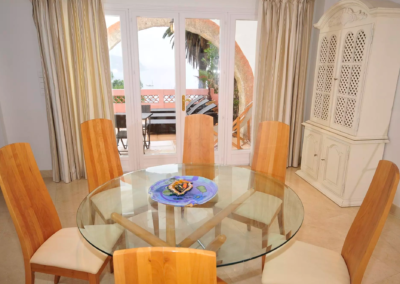 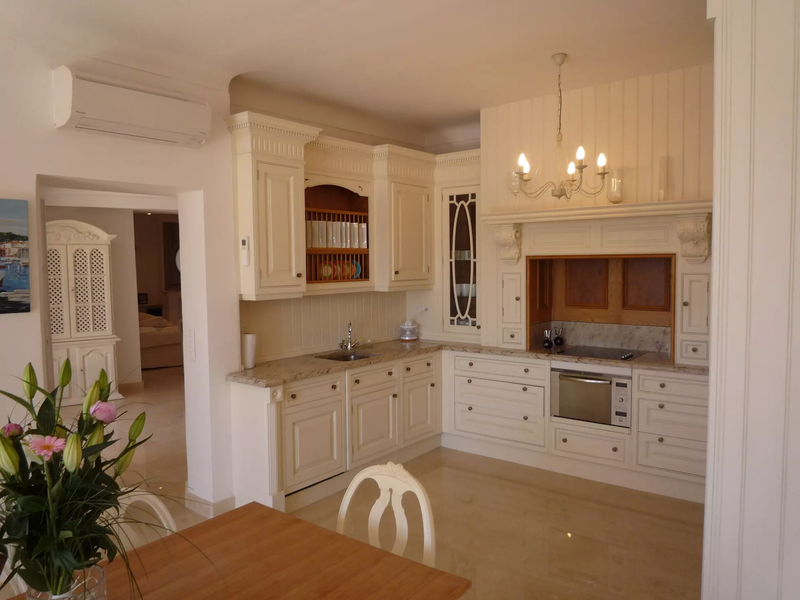 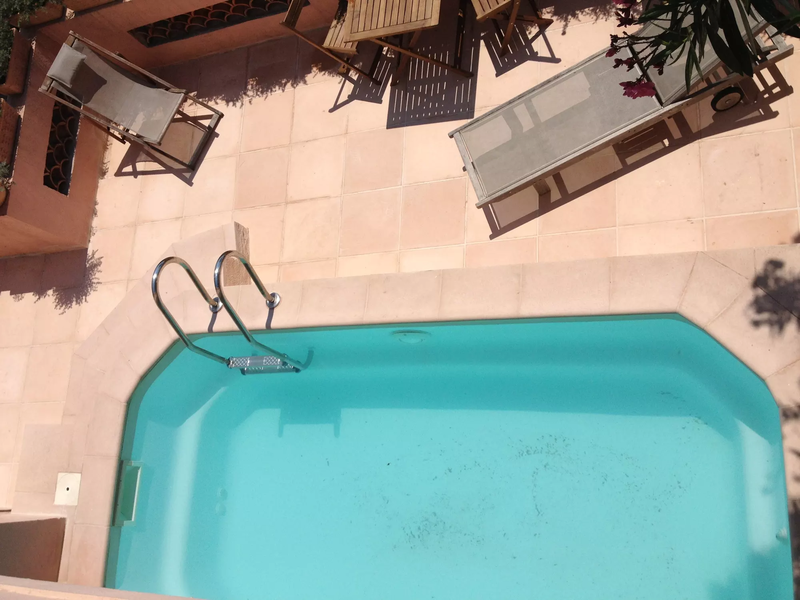 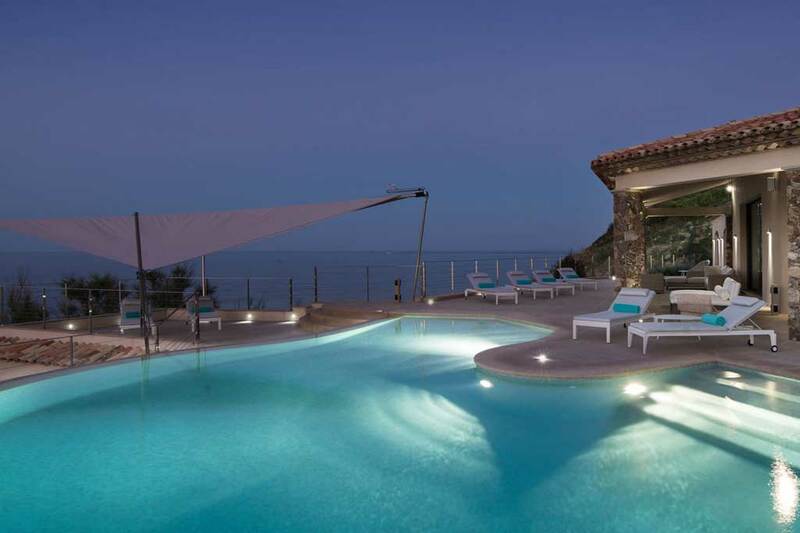 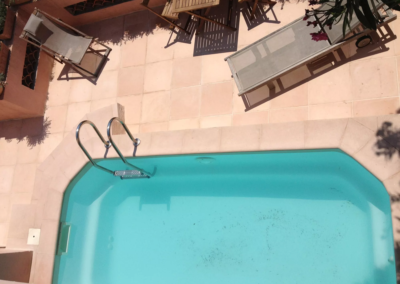 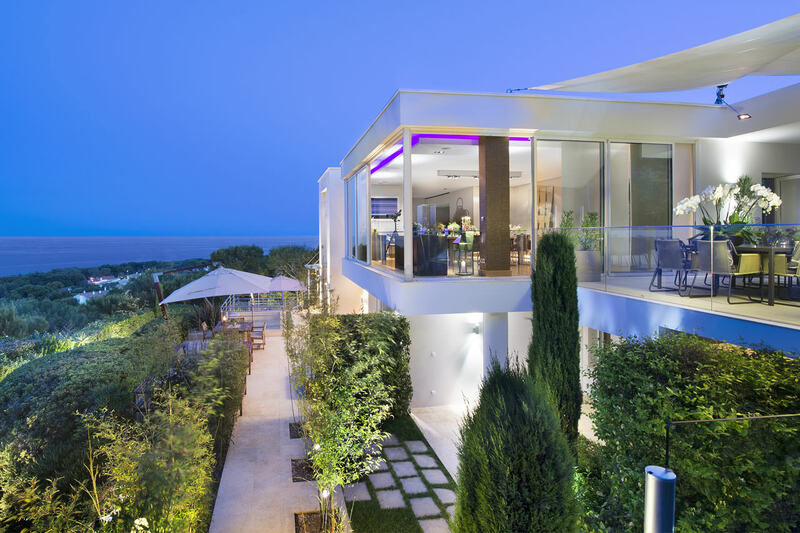 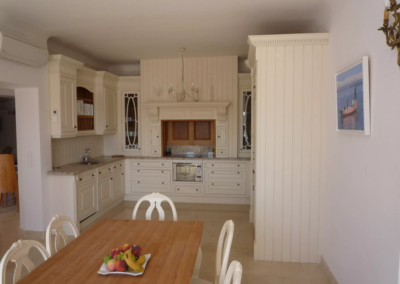 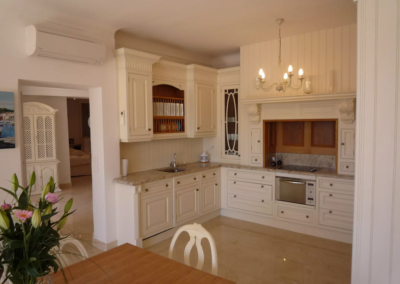 Walking distance to the local port, shops and restaurants, as well as the sea view.